Who needs pretty pets? 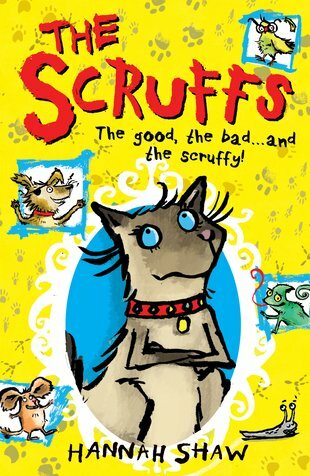 Ugly pets The Scruffs will win your heart and make you laugh out loud. Who said you have to be gorgeously fluffy to be the Best Pet Ever? The Misfits pet shop is full of ugly mutts and scruffs that you’ll adore. Rufus, Slimer, Lolly and the gang might look a right mess, but they have cheeky charm and big warm hearts! Still, when Lady the sleek pedigree cat arrives at Misfits, the others aren’t too happy. This pampered puss sticks out like a sore thumb. She’s the real misfit! But before long Lady is one of the gang. Problem: now a family wants to adopt her!